This course is targeted at players who have big goals. Of course, players who are seriously aiming at Olympic gold medals are also different, but players who are aiming for victory in Tech Selection, yet I do not know the concrete goal, but I want to be better anyway! If you are thinking in the bottom of your heart, you are welcome regardless of age, gender or event! Although the degree of difficulty of the gate is also relatively high, everyone is challenging to have fun. The athlete course can participate in a special period such as New Year's holiday and weekend practice. Rather, please join as much practice as possible! Regardless of level or age, we value each player. As learned from the failure of being a coach at the time, only by pressing sublime ideals, many players will fall short in the middle of their dreams. "Looking at things with that player's line of sight, thinking from the standpoint of the players"
I am keeping in mind. By doing so, I want to build a relationship of trust and I want to grow together. In a certain aspect, like parenting, I believe that leaders will grow as they lead the players, as parents grow up while raising their children. Especially for mental aspects, it is necessary to communicate over time and to shorten the gap between the person's hope (goal) and action. As a leader <sweet! It may be called. However, it is also true that some athletes who quit despairing much of their ideals and those who have negative emotions on specific leaders. 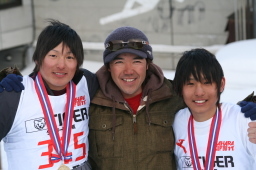 At least for the players who came to me, I want you to like snowboarding forever and I'd like you to think that I'm glad I spent a period of my life in GSS ... dream of that player · I want to work hard together to achieve my goal ... I think so. In any competition, it is extremely difficult to find the top. Unfortunately not everyone can fulfill their dreams as a snowboard player, but even if you can break a dream, I want you to be proud of yourself and be proud of yourself. I would like you to be a life experience that I can appreciate around my support. . . I think so. In the future, I am hoping that I can look back on snowboard life with a positive feeling, I would like you to have experiences that will become a "food" in my later life, and I lead the players day by day. I would like to look for technology guidance as well as how to be a player first. In order to realize the Olympic appearance where many players dream of, and medal acquisition, I realized one step of 3. 2, Bringing top domestic players to the United States or Switzerland and cultivating to the level where you can also play an active part in the World Cup by being competitive in the North American Championship / European Championship. 3, ability and activity are recognized, and convoked by World Cup members. Then play an active part in the World Cup and make your dreams come true! It is! It is! I was able to prepare the environment necessary to cross the huge wall to the world where the Japanese racer could not overcome. However, not everyone can go, it is not the only absolute way to make a dream come true! First of all, the door is opened only to those who set the foundation in the country, and acquired mentality as a player and physical strength. If you can not go abroad you do not have to give up at all. Although the road is steep, players who have reached world level only by domestic practice are actually in fact! 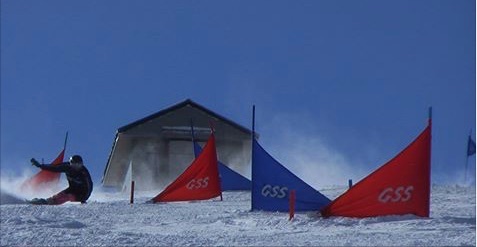 The GSS prepares a Next Step that leads to the top of the world and is waiting for you.